The Action Xact cushion is designed to offer comfort and relief from pressure for patients requiring a high risk pressure cushion. Choose an option… 18" x 16"18" x 18"18" x 20"20" x 18"
The Action Xact cushion is designed to offer comfort and relief from pressure for patients requiring a high risk pressure cushion. 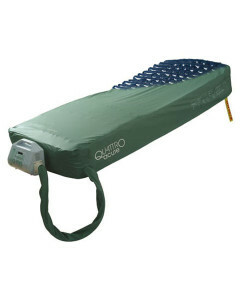 The contoured closed cell foam base allows the user to experience an even pressure distribution and improved postural support with the cubed profile permitting an increased air circulation that does not displace from areas in need of pressure relief, providing for protection and enhanced comfort.